There are a large number of recommendations in the Conservation and Management Plan for Merrion Square Park and these will be undertaken on a phased basis over the coming years. The current works which include the restoration of the historic perimeter path and the grassing down of a short link path, along the south-east corner of the park are well underway. It is necessary to knock a small section of the park depot to facilitate the installation of the perimeter path and this will be undertaken shortly. It is anticipated that the installation of this path will be completed by the end of July. In the meantime, re-graded soil areas will be seeded, allowing lawns to have sufficient growth to allow immediate access to the area when work on the paths has been completed. 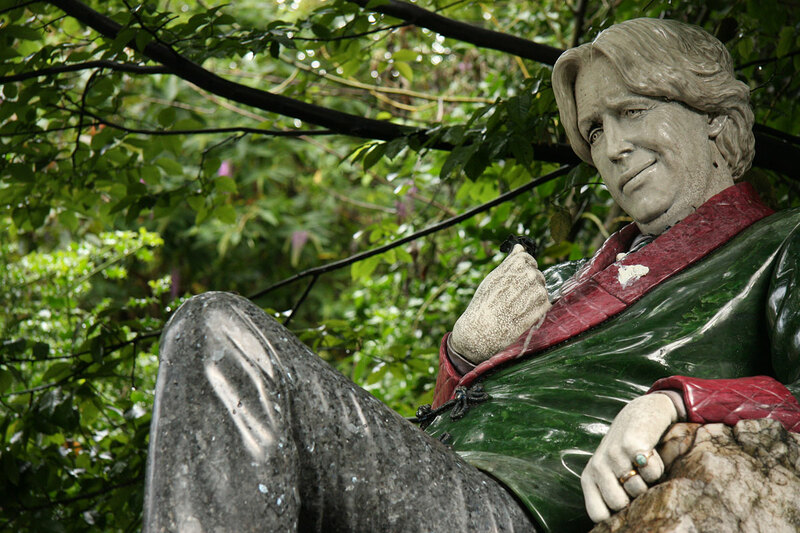 The civil works at the Oscar Wilde Sculpture have been completed and planting will occur week commencing 17th June and the installation of two benches and a small interpretative sign will be undertaken by the end of June. Treatment of the ESB sub -station is also being investigated to determine how best to repair and enhance this prominent building within the park. It is anticipated that work will commence on the building as soon as an appropriate treatment for the building has been agreed. Additional works, including the widening of the footpath along Merrion Square North in keeping with the historic design for the park, will commence in the autumn and will be completed over the winter months when sculptures in the park will be moved to this location and appropriate period seating installed. It is also considered that the design of the proposed tea rooms, to be located in the vicinity of the Oscar Wilde Sculpture and the playground, will commence in the autumn and Part 8 planning requirements completed over the winter and early spring 2016. Every effort is being made to minimise any inconvenience to the public during these works and a full programme of events will be held in the park as normal over the summer months.